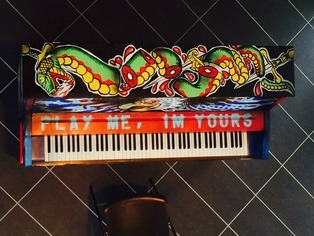 Play Me, I’m Yours is going to be presented in Florence again in 2016, click here for more information. Touring internationally since 2008, Play Me, I’m Yours is an artwork by British artist Luke Jerram. 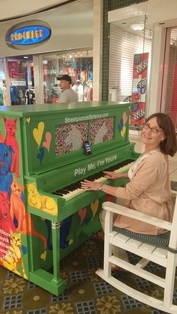 More than 1300 pianos have now been installed in 46 cities across the globe, from Paris to Lima, bearing the simple invitation Play Me, I’m Yours. The project has already reached more than six million people worldwide. 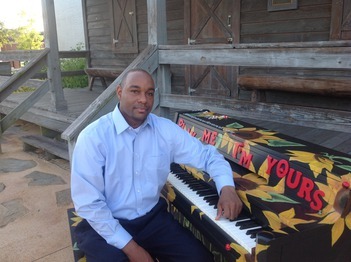 Florence, South Carolina presented Play Me, I’m Yours, from April 17 until May 3 2015, as part of the Willcox, Buyck & Williams Foundation‘s history & culture participation program. 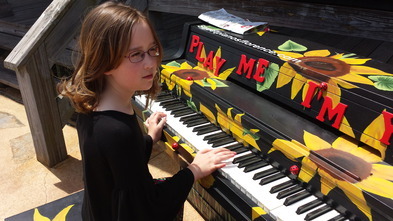 24 street pianos, decorated by local artists, were located in parks, squares and other public spaces for anyone to play and enjoy. This website has been set up for you to post and share your films, photos and stories about the pianos. Whilst documenting each piano’s journey, it connects the pianos and their communities across the city and acts as a legacy for the artwork. 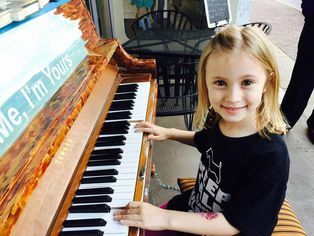 Choose a piano location to post and/or view films, photos, and comments. 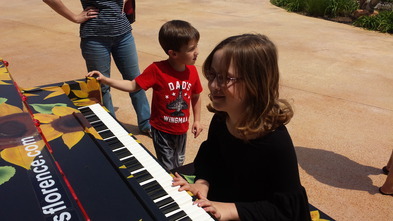 My kids loved the ladybugs on this piano. We found the piano on Sunday while we were visiting the Artfields. We were a day late, but it was a fun find. 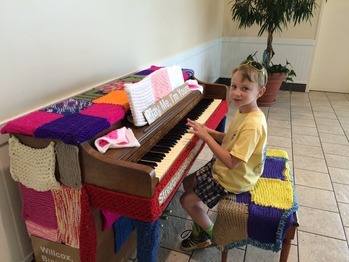 Artsfield 2015 and the " Play Me I'm Yours Pianos" we're wonderful!